As is now often takes place also in the field of photography, Leica has decided to warm up the hearts of the fans of the brand with a "teaser" on Leica Mini M, a campaign that says or does not say, that reveals these things a little at a time, and so far, nothing strange. Then, however, have begun to circulate on the network the first "rumors" (rumors). This a normal thing, if it weren’t for the fact that these rumors (first pictures of the new Leica and some technical data) more than rumors seemed real buffaloes, who have unleashed the ire of fans and muddied the waters. "But how, in 2013 a Leica with APS-C size sensor from 16 Megapixels, a zoom Leica Elmar 28-70mm with aperture 3.5 – 6.4 (more darkness of dark! ), nothing integrated viewfinder, little else to report, and a price… neutral: 2,450 euros, more or less what you are asking for Sony for a stratospheric machine as the RX1 ?" . Tears, fights on forum and blog comments, then a second wave of rumors, which this time are the resolution of the sensor at 24 megapixels, as that of the Sony NEX-7, and the opening of the zoom 27-75mm to a reasonable f/2.8 -4. Now the surprise on the Fan page Leica on Facebook: new teaser, new pictures (the Mini M between the Leica M and Leica X2) with the machine, showing just a little corner. The interesting thing is the written above the photo: "Have you heard the rumors? Discover the truth, from resellers Leica on 11 June, The Leica Mini M with its sensor larger than those mounted on digital cameras with a body of these dimensions". But what does it mean larger? 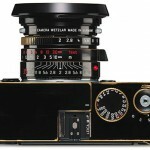 APS-C, as far as that of the Leica M8, full frame? Do you want to see that one of the brands historians more composed of the world of photography has made the leap by creating a marketing strategy that has produced as well as the teaser also false rumor? If you ask Leica Rumors, we also ask for it as well as a large number of fans who, after the initial disappointment, have recovered hope. Leica, once again, to give them a machine worthy of the brand. Previous Canon Rebel T5i vs Sl1 vs T4i, what’s the difference? 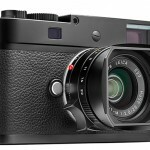 Leica: is there anyone reasonable left?